I don’t love Mexican food. I never have. Strange for someone who lives in Texas to admit that. The least appealing thing are those mushy, drab refried beans that most people love. NOT ME! Those of you who know me well know that I have a weird texture thing about some foods. Anyway, I’ve also never visited Mexico (not that I don’t want to). I just haven’t gotten there. . . yet! Yesterday was Cinco de Mayo. A great day to celebrate Mexico’s victory over the French at the Battle of Puebla on May 5, 1862. Is there a better way to celebrate than with a Mexican meal? Probably. But that’s what we did. Let me step back a bit. Last Monday I started a 30 day food cleanse. I’ve been making my own menus and meals, but following the advice found in the book, Whole 30, by Melissa and Dallas Hartwig. Sadly, I’ve broken up with all of my best food friends: Wheat products (no bread or pasta for example), dairy, (NO CHEESE, black coffee! ), sugar…(no jelly beans or skittles or anything containing sugar), and no alcohol (I am missing my wine and hope to get reunited soon)! So now you can see the substantial restrictions I have with meal prep. What is a Mexican food that fits into this program, is healthy, has no beans (actually those types of beans aren’t allowed either…I don’t miss them). An old time favorite, a recipe passed to me by my dear friend, Maggie Morgan came to mind: Tortilla Soup! Saute garlic and onion in oil until soft. 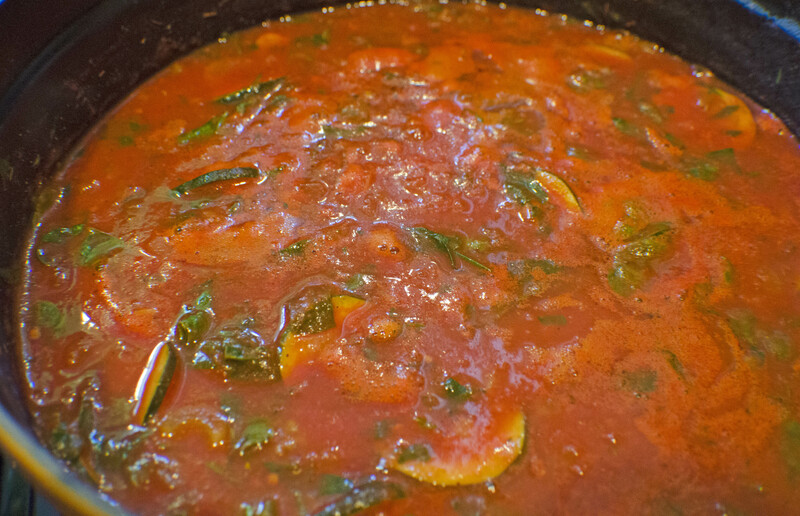 Add everything else (except cheese and chips), Simmer until vegetables are tender (about 1 hour). Serve in bowls with crushed tortilla chips and shredded Monterey Jack cheese. Super easy. Super delicious. Super healthy. I omitted the cheese and chips in my bowl. I did miss them, I’m not going to lie, but it was delicious regardless. If I were going to book a trip to Mexico City right now from DFW, the flights are really affordable! $366 per person round trip, non-stop, and a stay at the St. Regis would cost less than $300 per night! I’d like to visit Mexico City rather than a resort. I love to explore beautiful old cities, and take in the sites, sounds and food of the country, good and bad, rather than a resort which is purely for the tourists! Hopefully sooner rather than later! For vegetable stock, what I do is very simple. 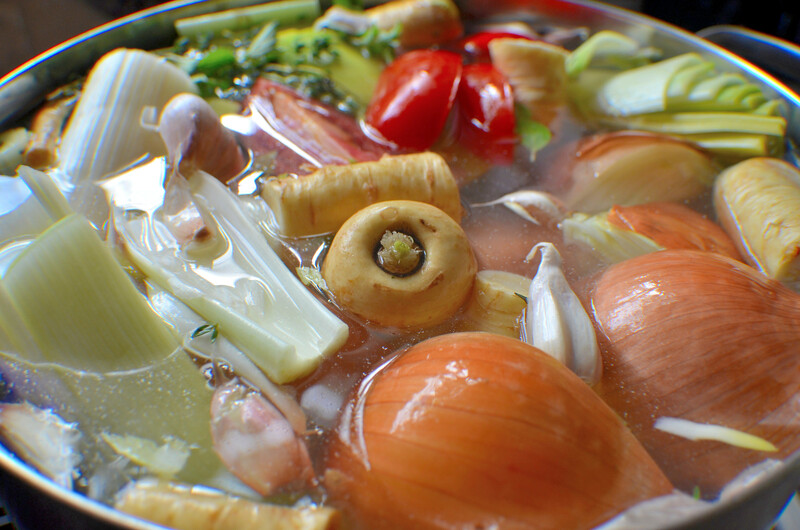 After washing, and cutting the vegetables, throw them all into a large stock pot ( I use a 16 qt.) and then fill the pot all the way to the top with water. Cook on medium heat uncovered until it starts to boil, then lower to a simmer, keeping the lid on slightly tilted. I cook it all day, until the liquid is lightly golden. Refrigerate overnight and strain the liquids from the solids using a fine mesh sieve or cheese cloth. I’m looking forward to making a vegetarian version of the tortilla soup! Thanks for the stock recipe! I wish I had this recipe on Tuesday…. not that I would make it but it’s nice to look at! Maybe I’ll try tonight..maybe add some chicken (rotisserie, of course) might be good.